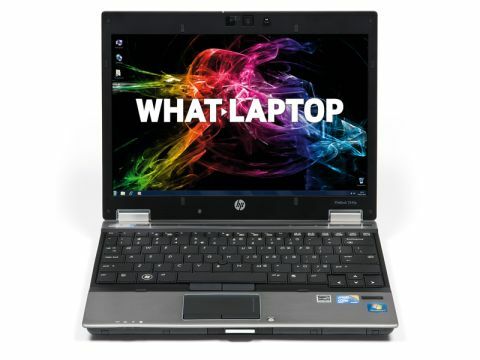 HP is currently the world's largest laptop manufacturer. The company produces a broad range of laptops, including consumer machines, but here we take a look at one of their business ultraportables, the excellent EliteBook 2540p. While the laptop may lack the gorgeous design of the Apple MacBook Air and Dell Adamo XPS, this machine is all about performance and portability. As a result, it comes up against the Sony VAIO Z Series. Performance is excellent (just beating the Sony), thanks to the very powerful Intel Core i7 640UM processor. The laptop sailed through all our benchmarking tests and proved to be as powerful as a high-end multimedia machine in everyday performance. If your work requires you to run resource-intensive programs concurrently, this is the machine for you. Graphically this isn't the case, however, and the integrated graphics card only allows light photo editing or entry-level gaming. If you need power for high definition (HD) video editing, for example, the MacBook Air or Sony VAIO is the better option. The EliteBook can best be described as functional. The lid and chassis are both crafted from metal and feel rock-solid, with the result that this is a tough laptop for the daily commute. At 12.1-inches, the laptop's screen is quite small at this price, making it more compact and easier to carry than the others, but only just. A matt coating means no reflections in bright light, but colour reproduction isn't nearly as good as the Sony or Apple here, so it's not great for film lovers. The keyboard is, despite its size, spacious and extremely comfortable to use. Typing for long periods is a pleasure, thanks to its extreme firmness, and the touchpad is also responsive, although very squashy click buttons won't be to everyone's taste. Connectivity is second to none with even a modem port included, but a DisplayPort replaces the more common HDMI. This will suit business users, but not those who wish to hook their laptop up to an HDTV at home. An impressive array of features also includes a fingerprint reader and even the keyboard is spill-resistant. Finally, portability impresses and, even though the EliteBook is marginally heavier than the rest here, the 340-minute battery life is only beaten by the Sony Z Series. The EliteBook 2450p is an excellent business tool with great build quality and excellent usability. But where it really shines is everyday performance.